Myocardial perfusion imaging is a test to look at the blood flow and function of the heart. It uses a low dose of a radioactive agent. 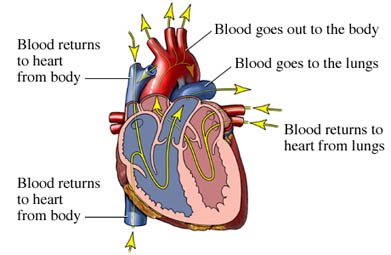 Blood flow to the heart is best tested when your heart is working hard, so this test is usually done during exercise. If you cannot exercise, your doctor may use a drug to increase your heart's workload. Myocardial perfusion imaging is used to look for any damage to your heart. It may also help to determine your future risk of heart damage. During the test, technicians will be alert for any signs of heart or lung problems. They will be ready to take action if complications develop. Your doctor will be available during the test as well. Your doctor may advise you stop taking medications before the procedure. Talk to your doctor before the test about any medications or herbal supplements you are taking. You may be asked to avoid eating or drinking for 4-8 hours before the test. Wear loose clothing and low-heeled shoes with rubber soles or tennis shoes. If you smoke, you should avoid smoking for 1-2 days before the test. A blood pressure cuff is placed on one arm. An IV is inserted into a vein on your other arm. Small, round pads are placed on your chest. They will monitor your hearts electrical activity. Your blood pressure and heart rate are monitored before, during, and after you have exercised. A small amount of radioactive material will be passed into the bloodstream through the IV. The radioactive tracers concentrate in the parts of the heart that have the best blood flow. A special camera will show the parts of the heart that are not getting enough blood. These images are taken while you are at rest and while you exercise. Your heart may first be monitored while at rest. The exercise or “stress” part of the test is usually done with a treadmill. You begin by slowly walking on the treadmill. The pace will gradually increase. As you exercise, your heart rate and blood pressure will change. At your peak exercise, the tracer is injected into the IV. You will continue exercising for another one or two minutes so images can be taken. If you are unable to exercise for any reason, the doctor may use a drug that mimics the effect of exercise on the heart. If you notice any changes in the way you feel, or experience any side effects, notify the doctor who is monitoring the test. About 15-30 minutes after exercise, you will lie down on a special table. More images will be taken of your heart. If you have coronary artery disease , you may feel chest pain or angina during the test. You may give you medication for the symptoms and the test may be stopped early. Let the care center staff know if you have any symptoms of jaw, neck, arm, or chest pain. You will be able to leave after the test is done. If medication was given to increases the work of your heart, you may have anxiety, lightheadedness, nausea, shakiness, or shortness of breath. Let the care center staff know if you have any of these symptoms. There is a possibility that you may experience some effects from the medication for up to 24 hours after the test. The entire test takes 3-5 hours. You may receive the entire test in one day, or you may have each part of the test on separate days. In general, this test should not be painful. The doctor will compare the images taken of rest with the images taken during stress. If your heart is relatively healthy, there should be little or no difference between the images. If your heart has partially blocked arteries, images taken during stress will be different from those taken at rest. Cardiac nuclear medicine. Radiology Info—Radiological Society of North America website. Available at: https://www.radiologyinfo.org/en/info.cfm?pg=cardinuclear. Updated March 17, 2016. Accessed March 2, 2018. Cardiac stress testing. EBSCO DynaMed Plus website. Available at: http://www.dynamed.com/topics/dmp~AN~T115175/Cardiac-stress-testing. Updated September 29, 2017. Accessed March 2, 2018. 11/30/2010 DynaMed Plus Systematic Literature Surveillance http://www.dynamed.com/topics/dmp~AN~T115175/Cardiac-stress-testing: Einstein AJ, Weiner SD, Bernheim A, et al. Multiple testing, cumulative radiation dose, and clinical indications in patients undergoing myocardial perfusion imaging. JAMA. 2010;304(19):2137-2144.